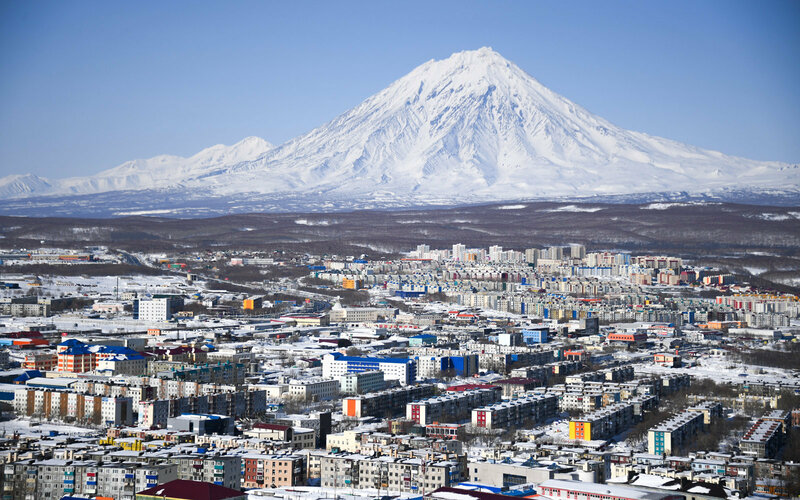 Kamchatka is one of the most remote, hard-to-access and beautiful regions in Russia, a dream place for any traveler, lover of pristine nature, or fan of active recreation. 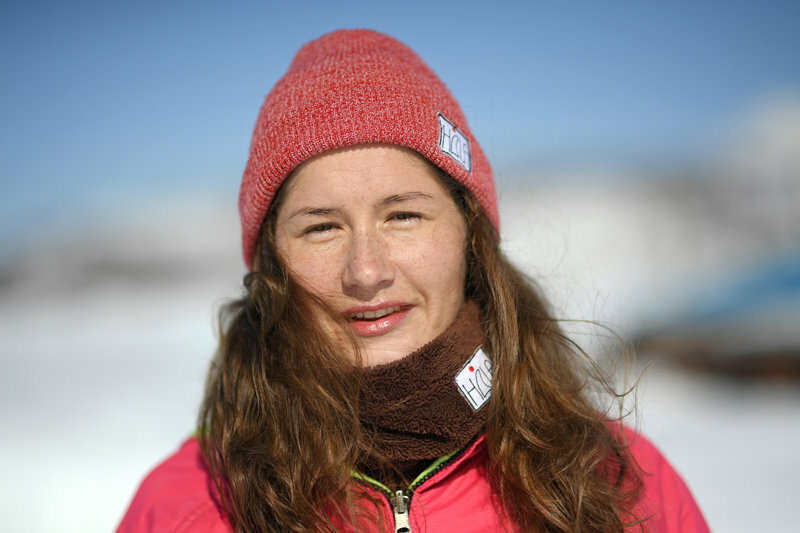 Some come here to study plants and animals, others climb volcanoes, others snowboard, ski or ride snowmobiles. 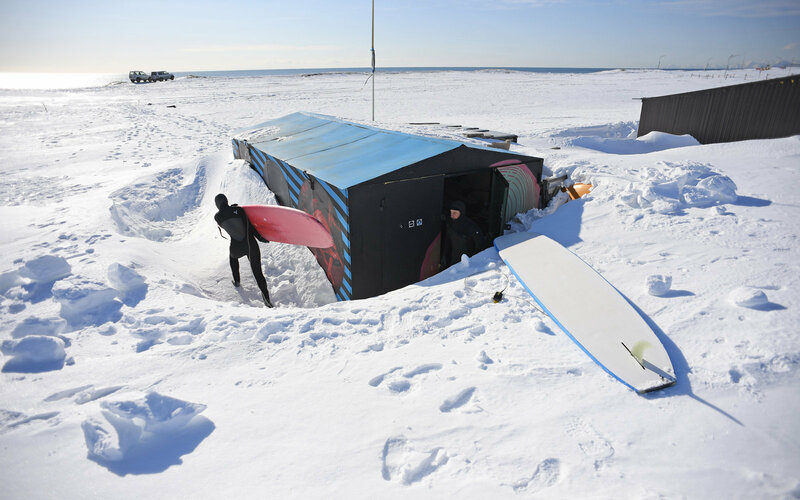 But there are those who prefer surfing, even in the winter. Yelizovo Airport is surrounded by so called "home" volcanoes. 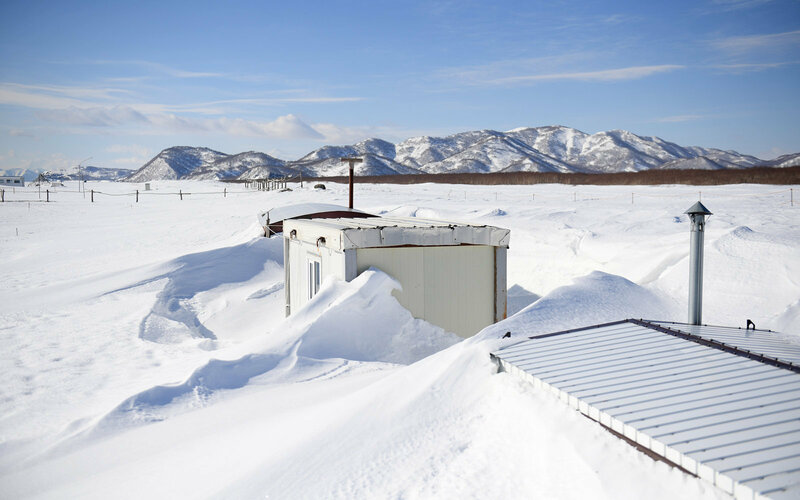 By the end of winter, snowdrifts are meters deep. 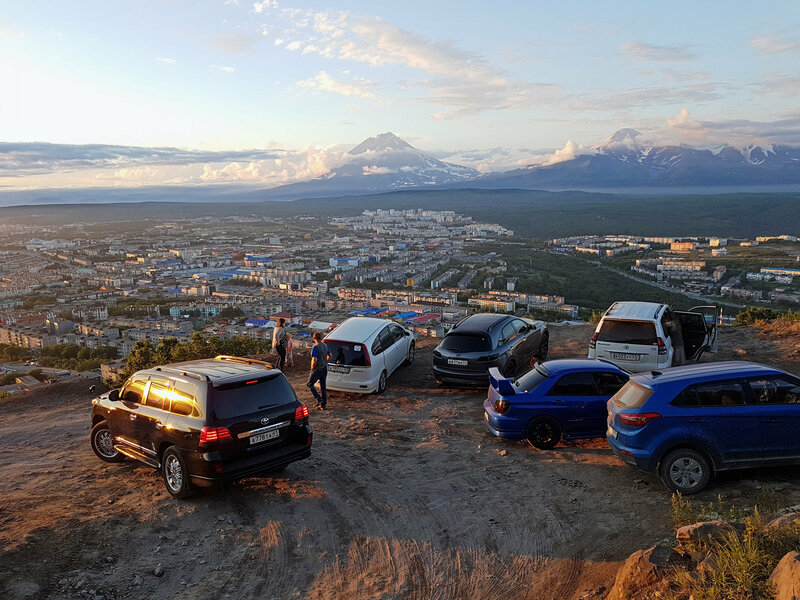 The streets of Petropavlovsk-Kamchatsky are crowded all by off-the-road vehicles. "How can it be any other way?" the locals say, "If a storm comes, a 4-wheel drive is your only way around. It's not like it's with you on mainland. Even our roads are almost non-existent"
Which is true, as there are places in Kamchatka where there are no roads at all. Those that actually exist are often snowed in. In the spring and autumn even off-the-road vehicles struggle to get by. Still, the planes flying in from the mainland are full. Tourists are lured by the exotic location and new experiences that might cost a small fortune. 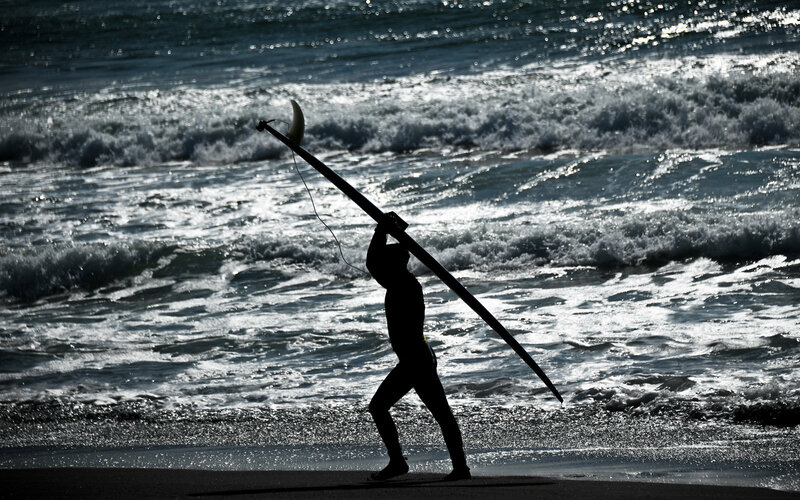 Surfers have been coming in large numbers to these local Pacific shores for some time. 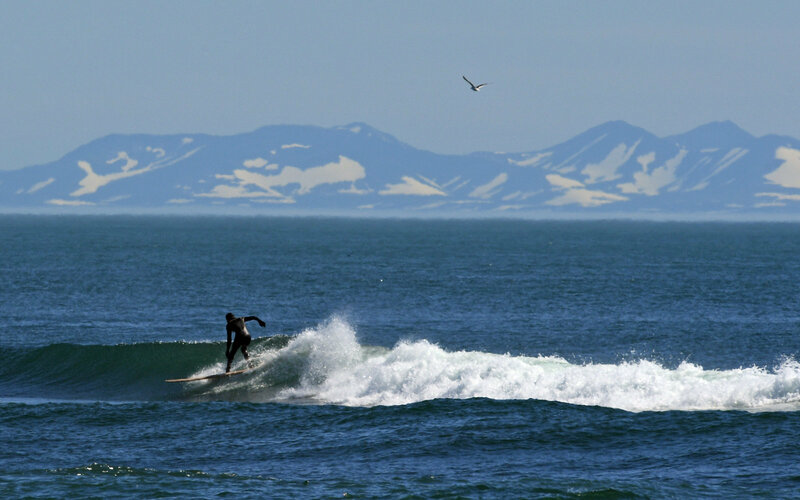 Russia surfing includes Vladivostok, Kaliningrad, St. Petersburg, Teriberka, and the island of Sakhalin. 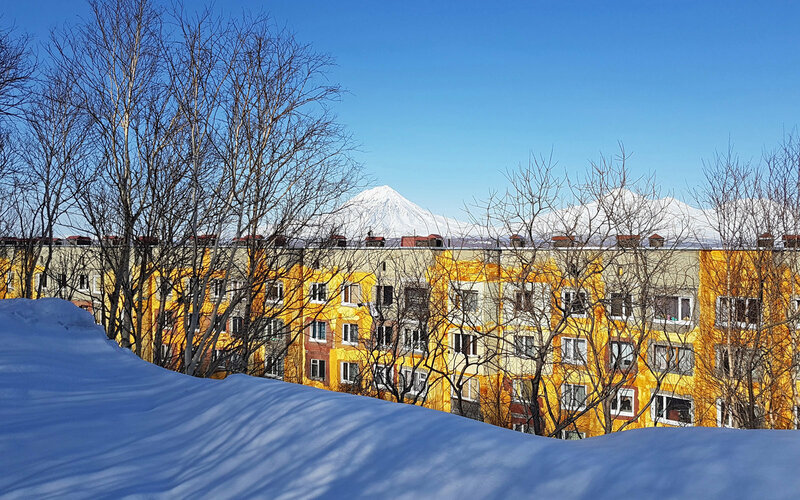 Kamchatka, however, has the ideal conditions. The season is all year, and the Pacific winds never stop pushing waves. 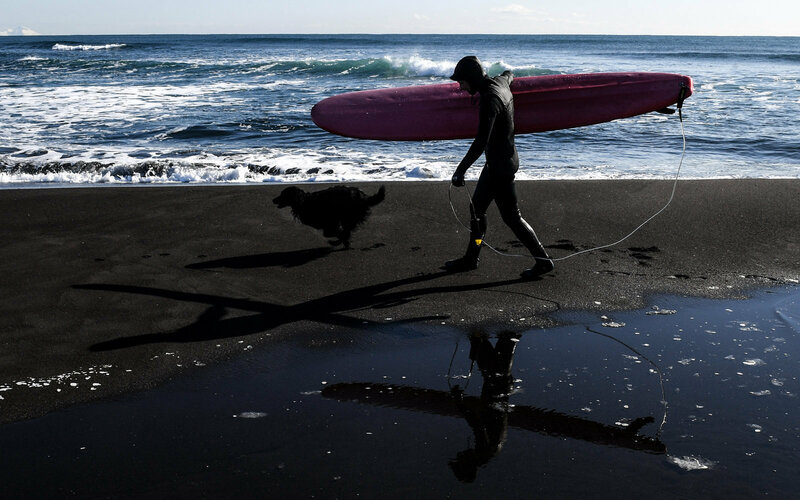 As one of the pioneers of surfing in Kamchatka, Anton Morozov, says, there are few local surfers here. 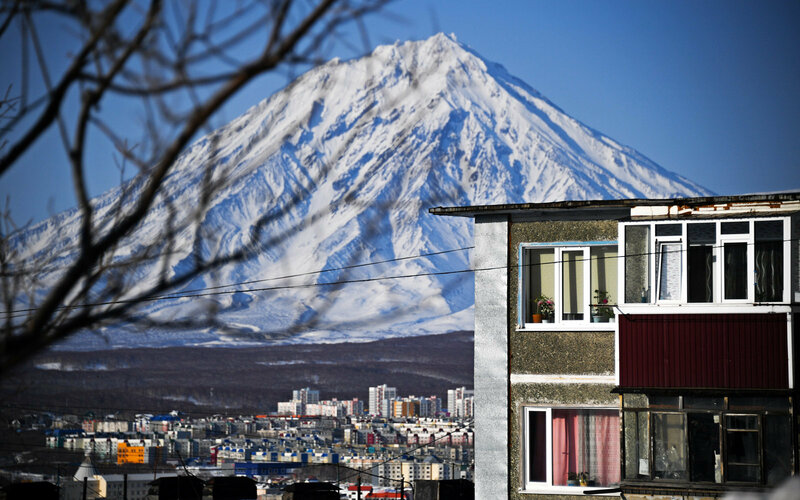 "More people come from other Russian regions and other countries," he says." 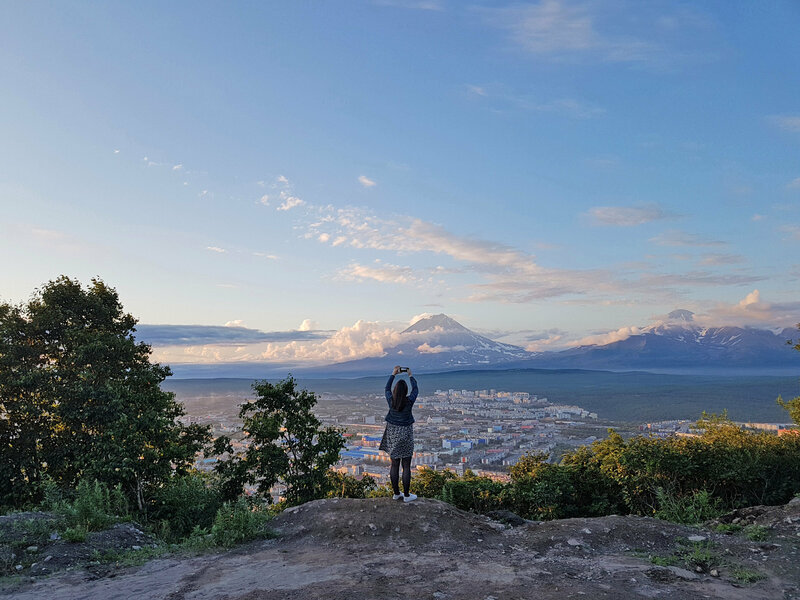 In fact, it is the travelers who have placed Kamchatka on the global surfing map by posting photos and videos on Instagram and Facebook. Films and newspaper articles followed." "I was born in a small fishing village. It's no longer there, water is all that remains. There were houses on a spit of land, straddling the sea and the river. No hot water, no central heating. My father was a fisherman, just like with most of the kids my age. I often dream about this place, about strolling with my friends as kids along the shore and running from the waves. Our favorite game was playing in wrecked fishing boats. We would edge closer to the hole in the hull, and wait for a wave to strike. The one closest to the hole was the bravest. 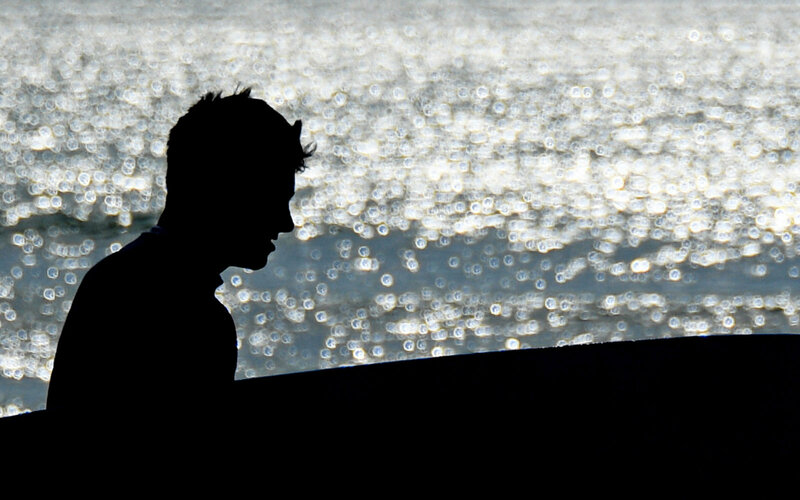 In a way, I've gone back to that through surfing," Anton says. 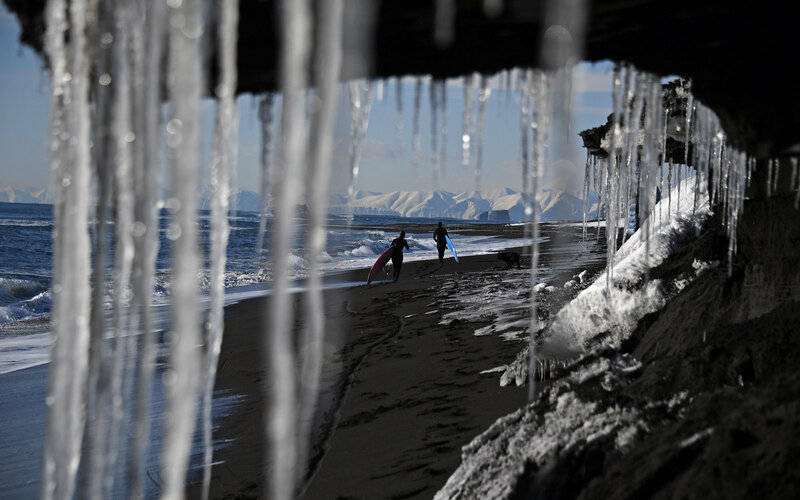 Khalaktyrsky Beach near Petropavlovsk-Kamchatsky is Kamchatka's most popular surfing spot. 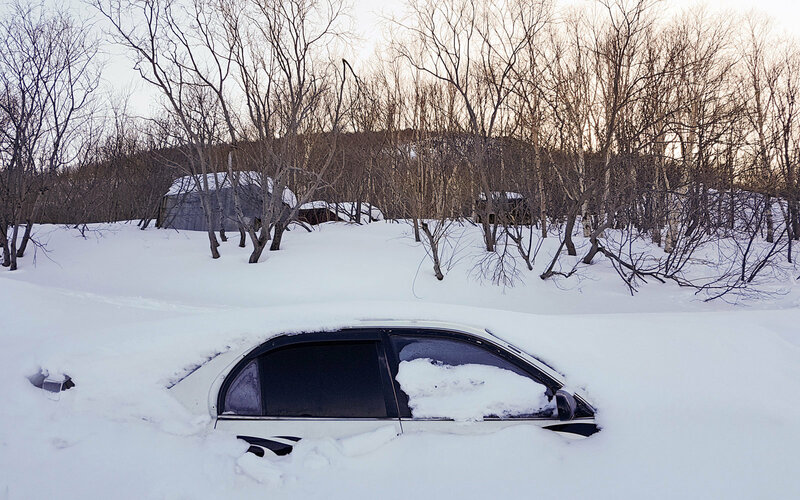 "Sometimes the road is so snowed in that no car can get through," Anton says. "It's a two-and-a-half-kilometer walk just to get there. 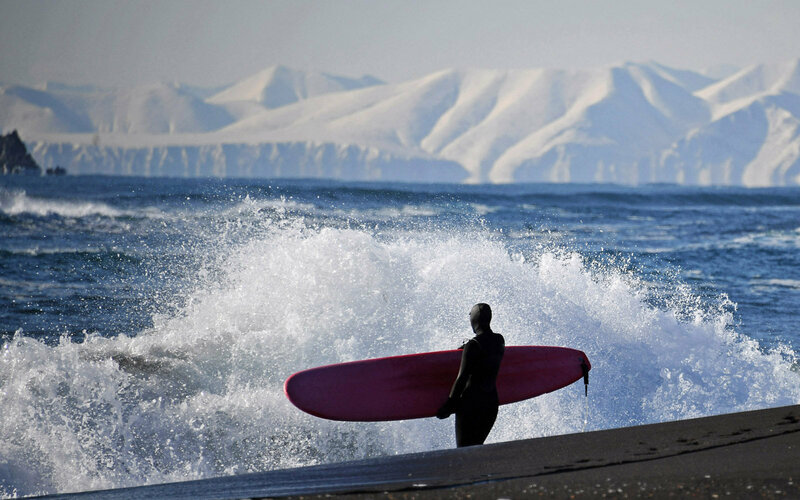 Anyway, we go like nothing happened"
Kamchatka surfers usually surf several days a week. 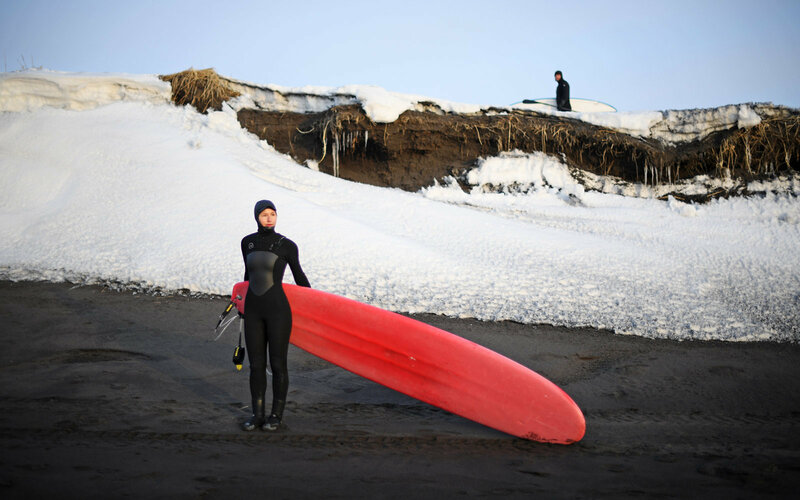 At first, many people were skeptical about winter surfing, but Anton and his friends led by example showing that Kamchatka is good for the activity even that time of year. 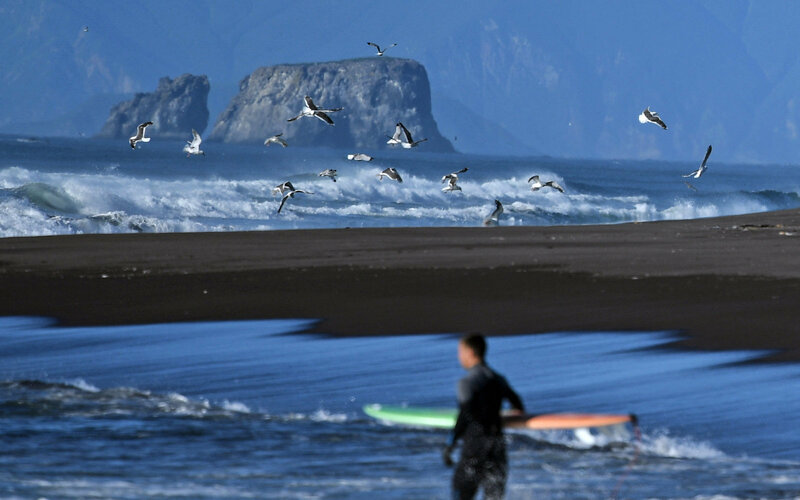 "We had to bust some myths, because this place used to be completely off-limits to surfing in the cold season. Even in September, we'd avoid the water. Water this cold makes you breath unevenly and your hands freeze. But wetsuits give enough warmth. 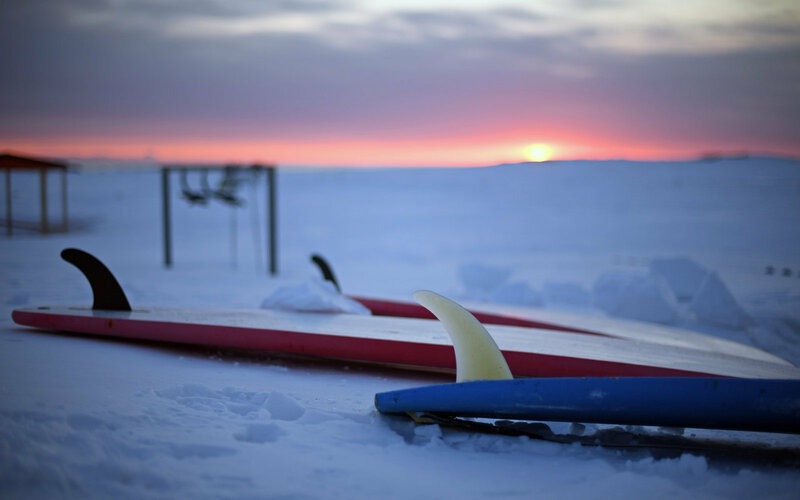 We started posting our photos and videos, talking about winter surfing. The water temperature may dip below freezing because of the salt levels. 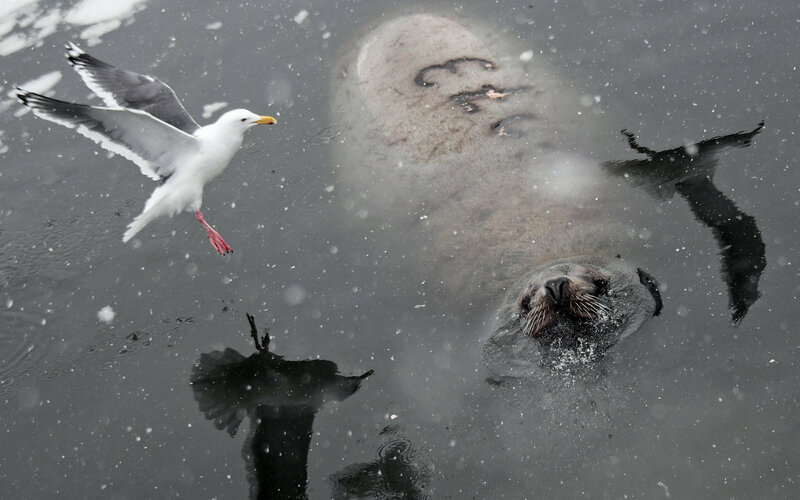 Even Teriberka, which is close to the near-Arctic city of Murmansk, has warmer water. But winter brings with it beautiful sunrises with the sun rising right from the ocean. The view is unbelievable." 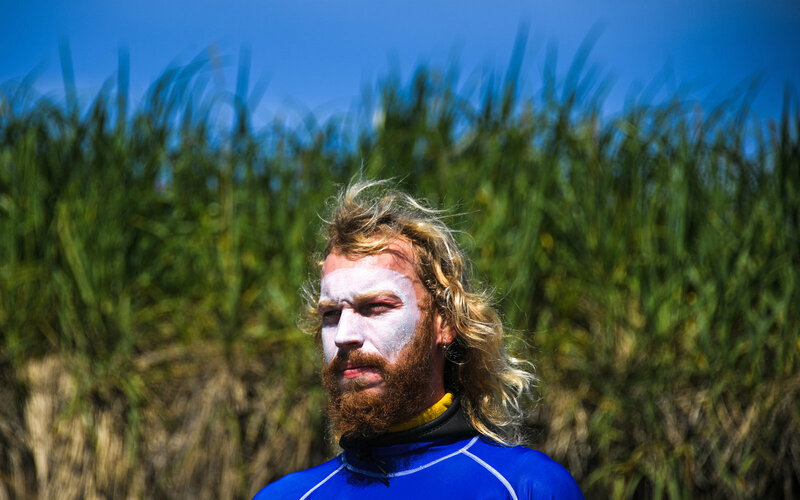 In 2010, Anton and his friends founded Kamchatka's first surfing school. 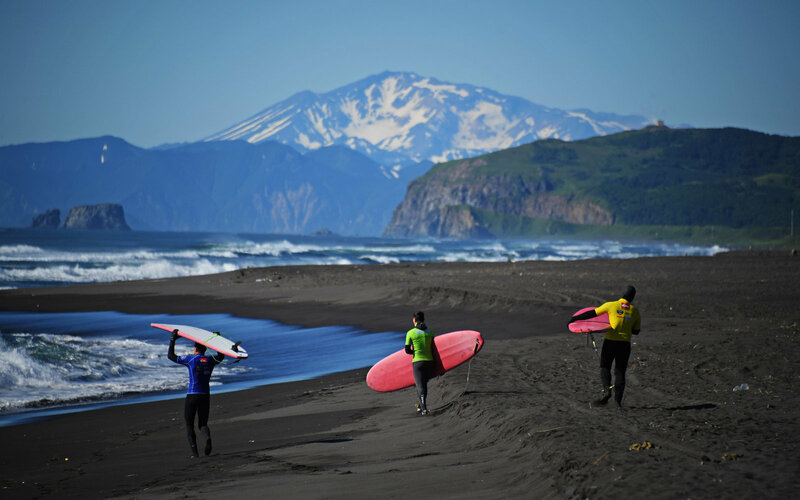 For more than five year, the Khalaktyrsky Beach has been home to the Snowave Kamchatka school's surf camp. "At first, we simply put up tents there. Then we built warm huts, and a shower. 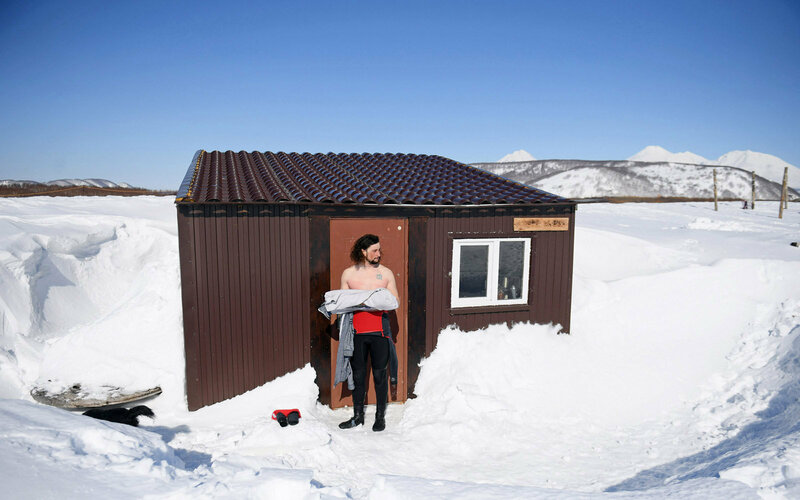 Today, the camp is equipped for year-round stay, even though it gets snowed in the winter," Anton said. Anton has been teaching his son to ride the waves since the son was 18 months old. Now eight, he is sure-footed on the board. "Our school trains children 7 to 12. In the summer, they often live at our camp. We start with small things like teaching them not be afraid of the water, to get on the board, and then to catch a wave on their own. In any sport, including surfing, it's important to encourage a new generation. Sport is very good for shaping children physically and psychologically: it teaches them stamina, firmness, and to overcome their fears". Anton mentions basic, advanced and continued courses. 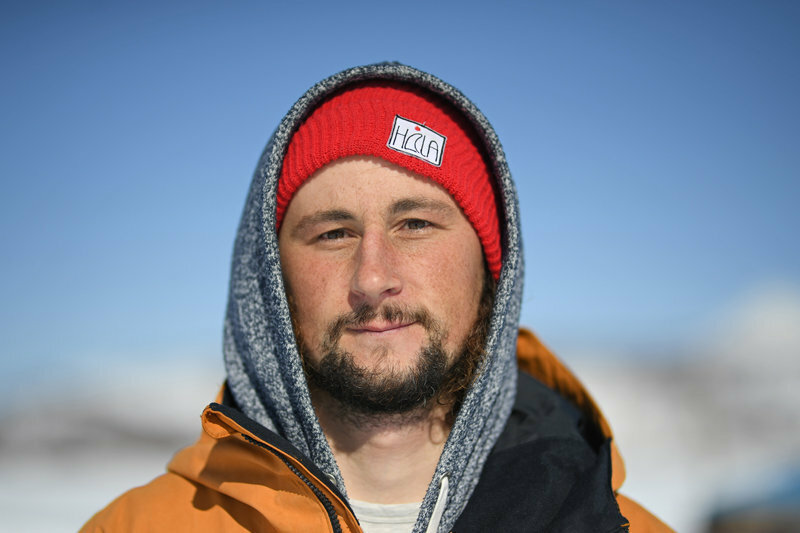 "At first, we teach accident prevention, do'ts and don'ts in the ocean, paddling, getting on the board, and catching the wave," he says. 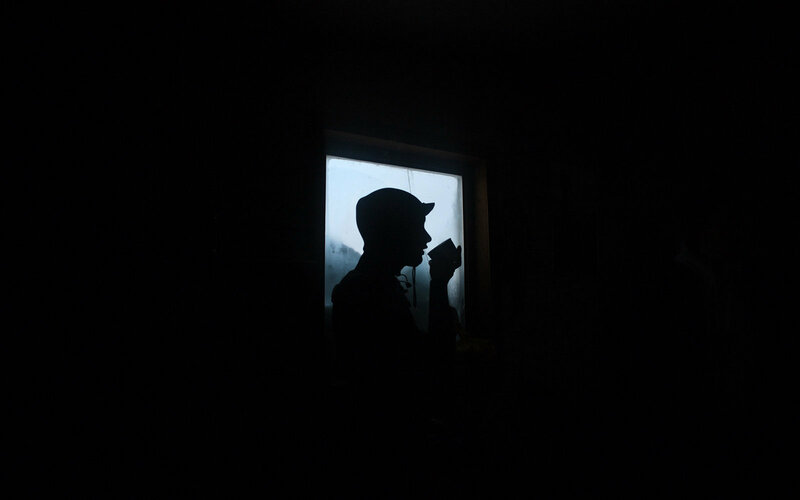 "The instructor serves as a medium between the rider and the ocean. 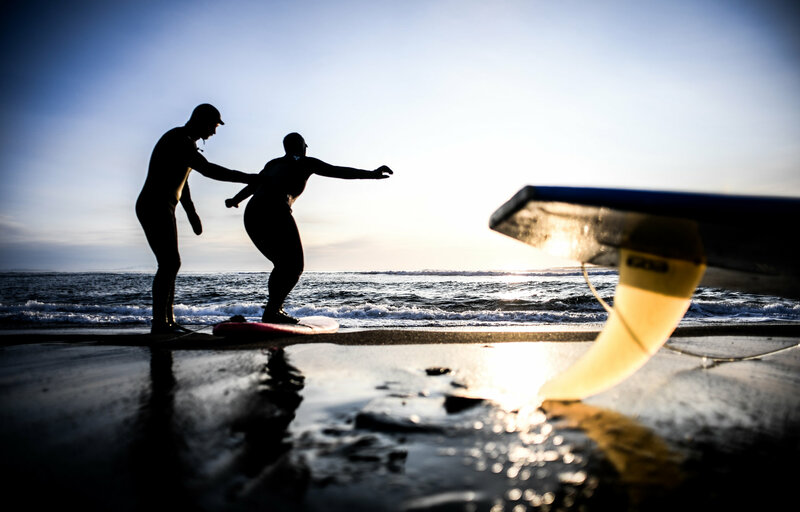 Because the ocean can be a hostile environment, we can't breathe in it, everyone gets scared, so surf training is about overcoming the fear," Anton says. Since 2010, Khalaktyrsky Beach has welcomed a surfing festival, and winter and summer championships have been held there since 2017. Anton believes that the best way to promote surfing is with festivals, getting kids to love it, and making it a family sports. One of Anton's students, Yura Balakhtin, 8, has surfed since he was 5. It was his father who set him up on the board. Yura says that he also hikes, makes molded plasticine figures and plays chess. "I don't ride yet in the winter. 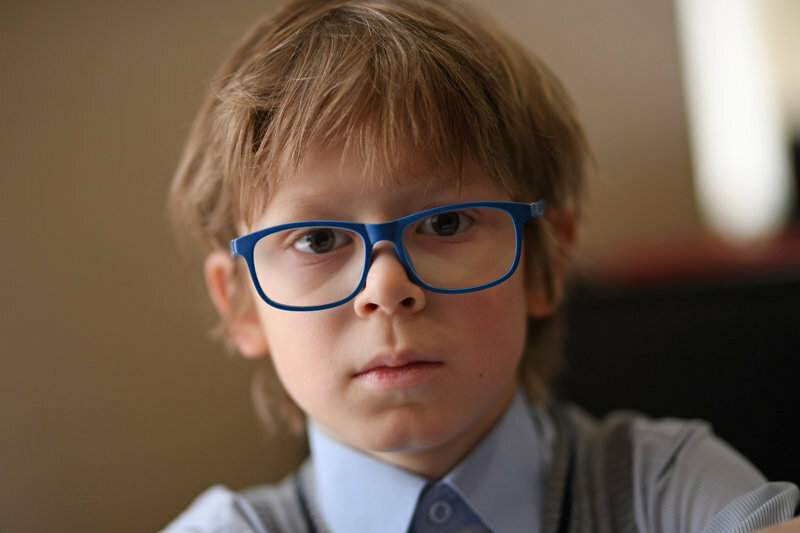 It's too cold, and my mother is too worried to let me go," he says. 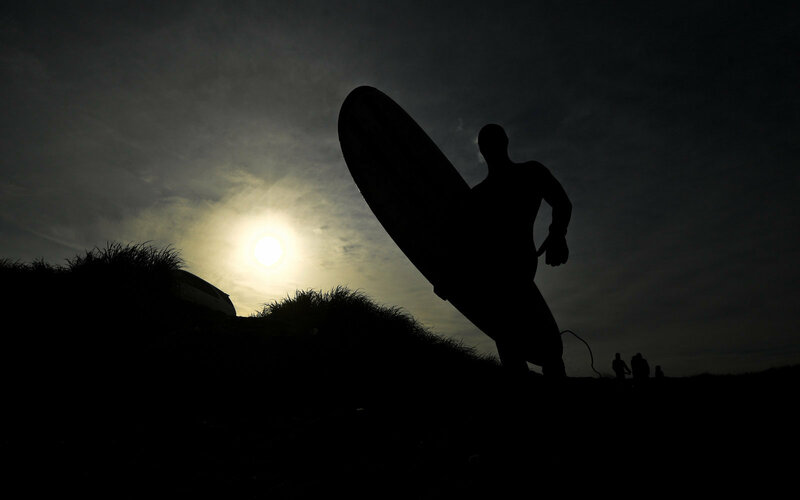 "But in the summer, we all go to the beach where my mother watches me train with Anton, and my father surfs with us. I've been telling my classmates about it, and I want to get them hooked so they start surfing, too. 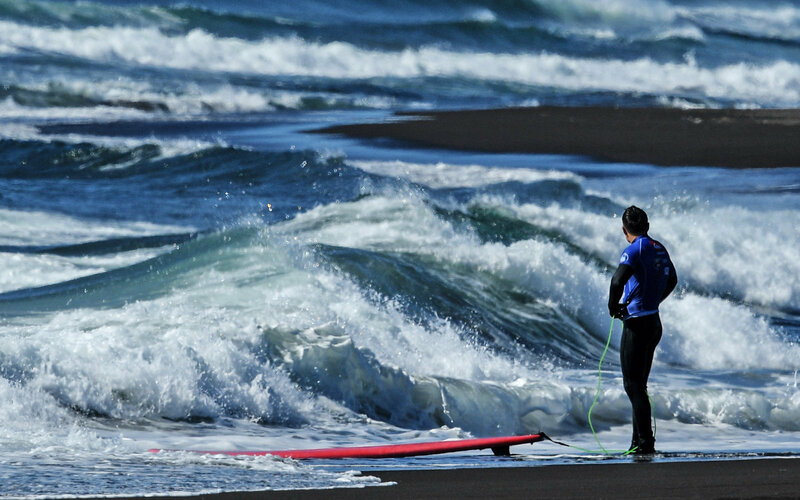 I want to do a surfing championship, like my dad." 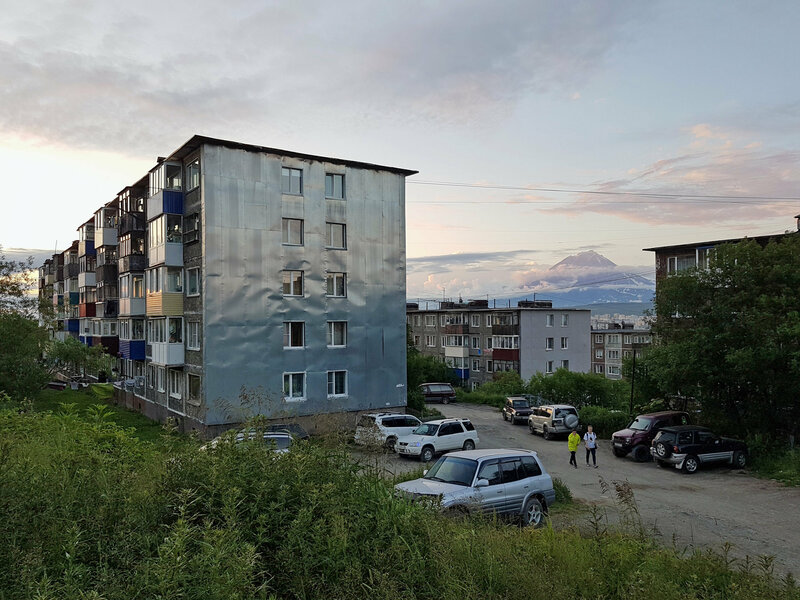 Although the surfing season in Kamchatka is open year-round, 90 percent of the time is spent on preparing, search and wait, says Lyudmila Orlova, a rock-climbing instructor, who also trains new surfers at the Khalaktyrsky Beach surf camp. "We wait for the relevant weather, the right wind, the storms," she says, "If we don't ride where we usually do, we go look for new spots. But anyway we surf several times a week. We get to surf more often in the summer, of course. 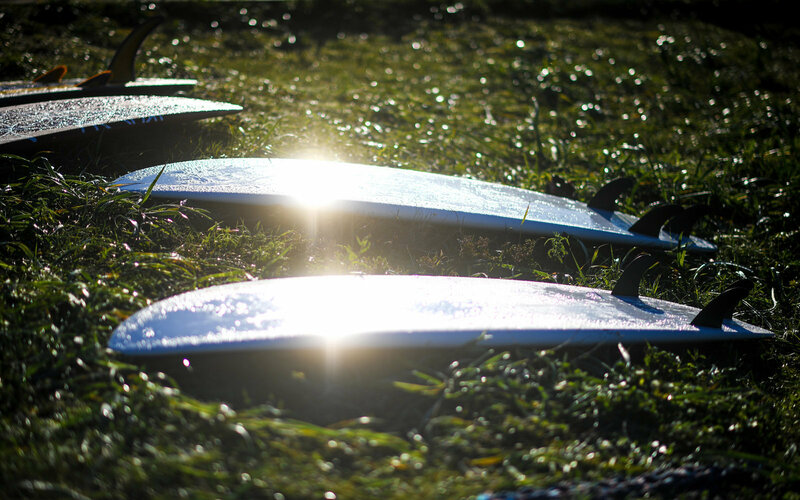 Sometimes we'll set out early before sunrise to have time to surf before work. 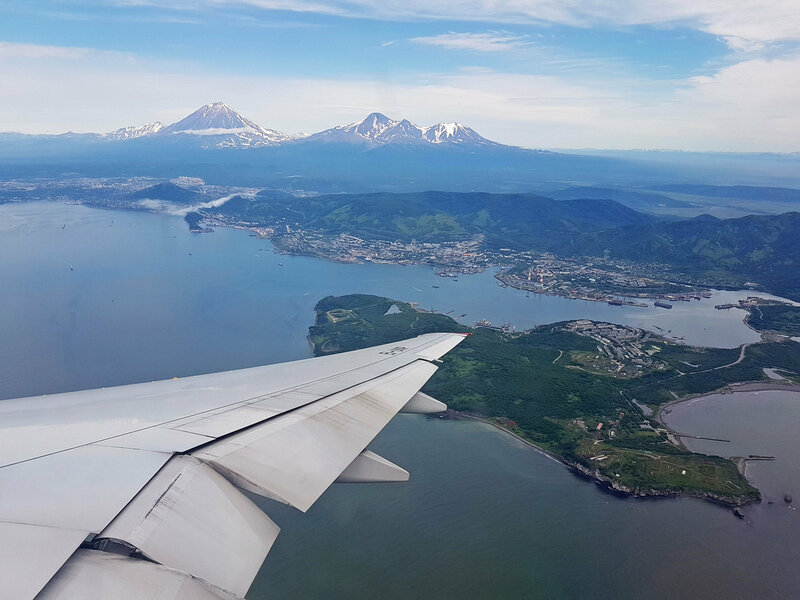 Before I got into surfing, I would sometimes consider moving away from Kamchatka, but now I can't imagine myself living anywhere else."